Some GOP Leaders Tee Up Cruz For Blame If There's A Shutdown : It's All Politics If the "defund Obamacare" strategy leads to a shutdown that backfires on Republicans in a big way, Cruz may find a relative lack of Washington Republicans willing to provide him with much, if any, political cover. Republican Sen. Ted Cruz is becoming the face of a possible government shutdown over Obamacare, and that has many fellow Republicans bashing him for what they see as an ill-conceived gambit. Just a week before the federal government could shut down if no agreement is reached to fund it past the end of September, it's anyone's guess whether Democrats and Republicans will avoid plunging over this particular cliff. More certain, however, is that if a shutdown happens over Obamacare and Republicans wind up taking the heat, many GOP fingers of blame will point squarely at Sen. Ted Cruz. The Texas Republican will likely become the face of the 2013 shutdown, just as Newt Gingrich became the poster boy of two government shutdowns of the mid-1990s. What we're seeing, in part, is the distrust and lack of loyalty that runs in both directions when a group of relatively new members of Congress, with a grass-roots political base that scorns the establishment, operates independently of and often at odds with the party's more traditionalist members. Today, it's the Tea Party movement that helped Cruz get elected. Three decades ago, it was the large post-Watergate class of freshmen Democrats elected in 1974 who drove more senior Democrats crazy with their impertinent demands that party elders be more accountable to them. Overlaying all that are the very real concerns held by more experienced Republicans that Cruz's defund-Obamacare-or-bust approach, as laid out in his Real Clear Politics op-ed Monday, will do more harm than good for the Republican brand, as in the 1990s. That's how you get Sen. Mitch McConnell of Kentucky, the Senate minority leader, letting it be known that he parts company with Cruz on strategy. And that's despite McConnell needing to watch his right flank as he runs for re-election. It's also how you get to Arizona Sen. John McCain tweeting links to opinion pieces from an economist who advised his 2008 presidential campaign and a syndicated conservative radio talk show host. 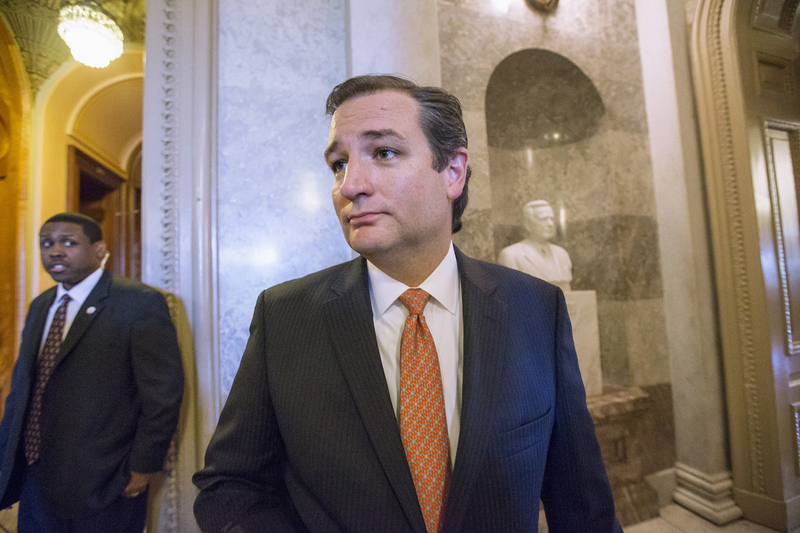 Both share McCain's view that Cruz is the leader of a political-party suicide mission. And it's how you get Sen. Bob Corker of Tennessee swiping at Cruz for being smart enough to have two Ivy League degrees but not politically savvy enough to avoid a fight the Texan can't win and that could cost the party plenty. "You cannot build a congressional majority in either party for any kind of action, unless you're treating your colleagues with some or certain amount of respect and saying, 'Hey, what do you think of my idea?' and instead, they have dictated to their colleagues through the media, and through public statements, and not consulted them about this strategy at all." All of which suggests that if Cruz's "defund Obamacare" strategy leads to a shutdown that backfires on Republicans in a big way, the Texas senator will find a relative lack of Washington Republicans, especially in the Senate, willing to provide him with much, if any, political cover.